Since then, I’ve become an avid researcher and I make sure that I know the answers to these questions (and a host of others) before I head to my next destination. Traveling internationally for the first time can definitely be intimidating. Especially if you’re traveling solo. 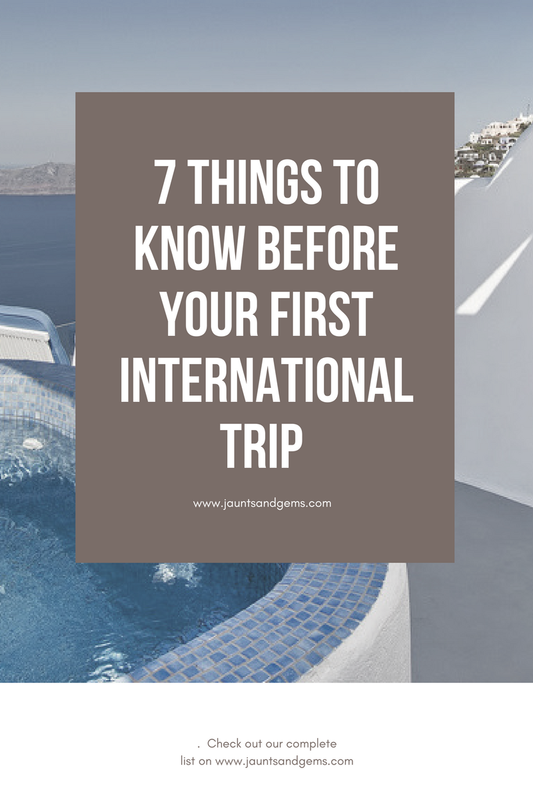 Below are a few tips I’ve based on personal experience and from client feedback that will help make your first international trip a lot smoother. If you don’t have a passport…get one! The sooner the better. If you wait til the last minute to try and get your passport, you’ll most definitely have to pay a fee to get it expedited. New passports are $110 for adults and $80 for children under 16 with a $25 service fee. Passports are good for 10 years so that’s a small price to pay to be able to travel the world freely for the next decade. Applying for a passport is really easy and you can click here to start applying for your passport. Got My Passport, Now What? Now, you need to figure out if the country you’re visiting requires any additional documents. Some countries also require a Visa to enter. Each country that requires a Visa has its own process and rules in regards to obtaining and submitting your Visa. If you’re planning a trip with a travel consultant, they’ll be able to let you know all the requirements for your trip. Most countries in the Caribbean, Europe, and South America don’t require a Visa, but many countries in Africa, and a few Asian countries, will require a Visa. Make sure you research well in advance so you’ll have plenty of time to apply for and receive your Visa if needed. Okay, What Should I Do About Money? 1. Regular credit cards typically add on a 3% foreign transaction fee on top of your purchase. Using a card that doesn’t have those fees, will allow you to pay only the cost of your purchase. 2. You don’t have to worry about a lot of cash being lost or stolen. 3. It is much easier to dispute charges on a credit card versus a debit card. Although I recommend a credit card for most purchases, you still should exchange your money and carry some local currency on your trip. Some businesses, restaurants and cabs won’t accept cards…or even U.S. dollars in some places, so you never want to be stuck without a means to pay for something. You’ll want to inform your bank that you’re leaving the country so that they’re aware and won’t potentially block any purchases you make abroad. Currency is also tricky because the exchange rate is different everywhere you go. I suggest estimating the typical exchange rate for your country so that you can have a loose point of reference for prices while abroad. I use a currency app (listed here), and it has been EXTREMELY helpful when figuring out about how much in U.S. dollars I’m paying for something. Your travel consultant should be able to help you get an idea of what an accurate budget for your destination will be before you go, so you’ll know what to expect in terms of spending. Wifi is pretty universal now in many countries and unless you’re visiting a super remote destination, you shouldn’t have much trouble finding wifi when you need it. Aside from that, each cell carrier has different plans that can be purchased for voice, text and data. You can also choose to use a local pay-as-you go phone if you’ll be abroad for awhile. English is spoken more often than you may think in other countries. BUT, I still believe it’s important to learn at least a few basic phrases in the country you’re visiting. At the very least, learning “Hello”, “Please”, “Thank You”, “Excuse Me” and “Do You Speak English?” in the country’s native language will get you far. There are tons of apps like Duo Lingo or Google Translate that can help you learn a few words and phrases before you go. What If I Have an Emergency or Something Goes Wrong on My Trip? I always suggest purchasing travel insurance to protect your trip for both domestic and especially international trips. Many people think that travel insurance only allows you to get refunded if you need to cancel your trip. This isn’t true. Good travel insurance policies will also include funds that can provide coverage if you’re involved in an accident, have a medical emergency, reimbursement for lost baggage and reimbursement for travel delay. Sometimes, travel credit cards include built in travel protection but only for the parts of your trip paid in full with that card. Your travel consultant can help you navigate the many different travel insurance plans to make sure you choose the best one for your trip. If you’re concerned about your safety, you can enroll in the U.S. State Department’s Smart Traveler Enrollment Program. This allows you to register your trip with the nearest U.S. Embassy or Consulate. Once enrolled, you’ll receive important info from the Embassy about safety conditions in your country. This also allows the U.S. Embassy and family and friends to get in contact with you if an emergency occurs while you’re in your destination. -Plan your trip ahead of time. Whether you’re planning your trip on your own, or working with a Travel Consultant, you’ll want to give yourself plenty of time to plan your trip so that you enough time to research your destination, make payments, and gather all the necessary documents. For trips overseas and to South America, I recommend starting at least 6 months in advance. For trips to Mexico and Caribbean, 3-4 months is adequate time to prepare. - Do your research. Or have your travel consultant do it for you! Having a feel for what your destination is like will help you manage your expectations of your trip and get the most out of your time there. If you’re researching on your own, consider the dates of the material you read and also note that opinions are not facts. There will be a ton of information out on the internet full of opinions about a certain destination. Don’t let other people’s opinions shape your own about that destination. Finally, relax! Traveling, whether for a quick jaunt or a longer experience, can be very rewarding. It’s normal to be nervous about leaving the country for the first time, but with the right amount of preparation, you’ll be ready to plan your next trip abroad sooner than later! Was this helpful? Click below to Pin this to your Travel Board! Are you feeling overwhelmed with planning your first international trip?  Let Jaunts and Gems take care of all your travel planning details. Click below to learn more about our services.